i wrote the song below on sunday 4/3/11 inspired by my wall calendar. 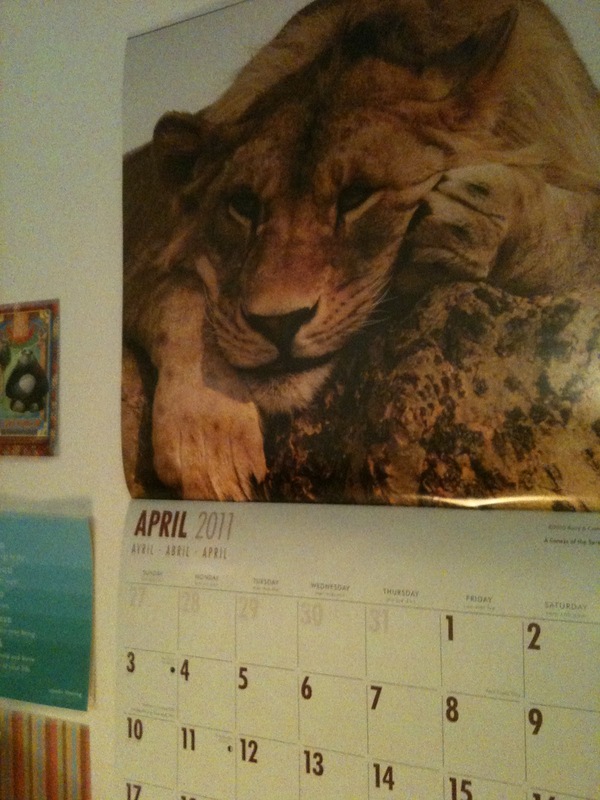 (the lion in my song is male; my calendar lion is a lioness with a mohawk it would seem.) stay tuned for the recording.